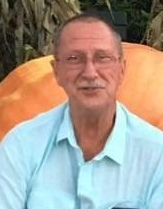 Dennis L. Crocker, Sr., of Wells, ME went to be with the Lord on December 2, 2018, his 66th birthday. He was born December 2, 1952 in Damariscotta, ME, son of Chester and Isabelle (Lewis) Crocker. Dennis graduated from Wiscasset High School where he excelled in basketball and baseball. He was offered a full scholarship to the University of Maine, turning it down to pursue his lifelong career with Central Maine Power, retiring after 46 years. In 1980, he married Marilyn Dickinson and relocated to Wells, Maine. Dennis was a blackbelt in Karate, teaching classes at Messiah Christian Church in Wells, where his son, D.J. was his student. He was very active in the Trailblazers Family Club where he was the current Trail Master, board member, bar manager and organized the weekly Cribbage Tournaments. Dennis was an avid hunter, golfer and fly fisherman. He was a member of Sanford Country Club and participated in the Wells Alumni Golf Tournaments, CMP Annual Golf Tournaments. He enjoyed annual fishing trips to Pierce Pond Camps in North New Portland, ME with his dad, brother Bob and dear friend, Marty Ryan. Grand Lake Stream trips with Marty were also special to him. Dennis will be remembered as a wonderful and dedicated husband, father, brother, uncle and friend. He had outstanding work ethics, beginning his career with CMP at just 16 years old. He would do anything for anyone in need and had a deep commitment to the Lord, his family and community. He is survived by his wife of 38 years, Marilyn (Dickinson) Crocker; his son D. J. Crocker and his wife Justyna, all of Wells, ME; 2 brothers, Robert Crocker and his wife Nancy of Washington, MA and Johnny Crocker of MN; a sister, Sherri Franklin and her husband Stuart of Ocala, FL as well as nieces and nephews whom he adored dearly.